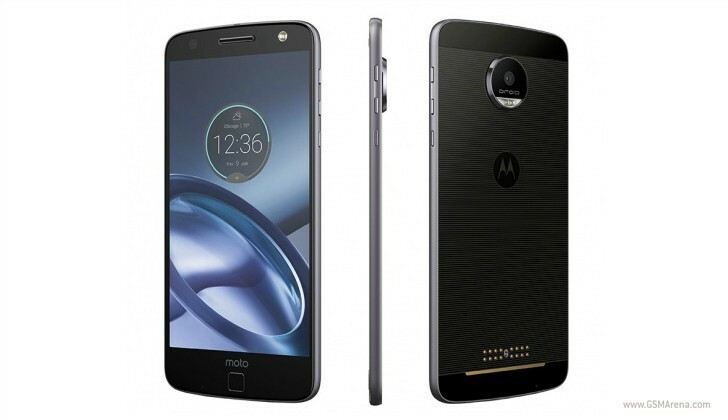 Last we heard, the Motorola Moto Z and Moto Z Force were scheduled for an early September release in the UK and possibly China as well. 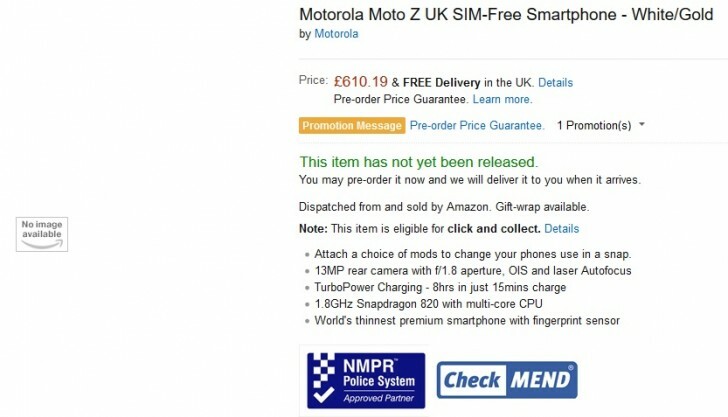 We still have no proof of the latter, but today the regular Moto Z was spotted in an Amazon UK pre-order listing. Currently, the handset can be pre-orderd form clove.co.uk as well, so it is only natural for deals to start popping up elsewhere as well. However, we wouldn’t exactly call Amazon’s offer a deal, as its price seems to be set an a whopping GBP 610.19, while the aforementioned vendor has it listed at GBP 495. Mind you, we are talking about the very same basic Moto Z, both offers are also SIM-Free and include taxes. Granted, Amazon doesn’t seem to be listing the storage of the unit, but even if it is the higher-end 64GB one, instead of the 32GB over at Clove, the match still doesn’t check out, especially considering Verizon is offering the Droid version for $624 in the US. Overall, the listing does look a bit unfinished in its current state without images, so there could be some error, or perhaps an undisclosed bundle with MotoMods. At lest there is Pre-order Price Guarantee, so there is that.